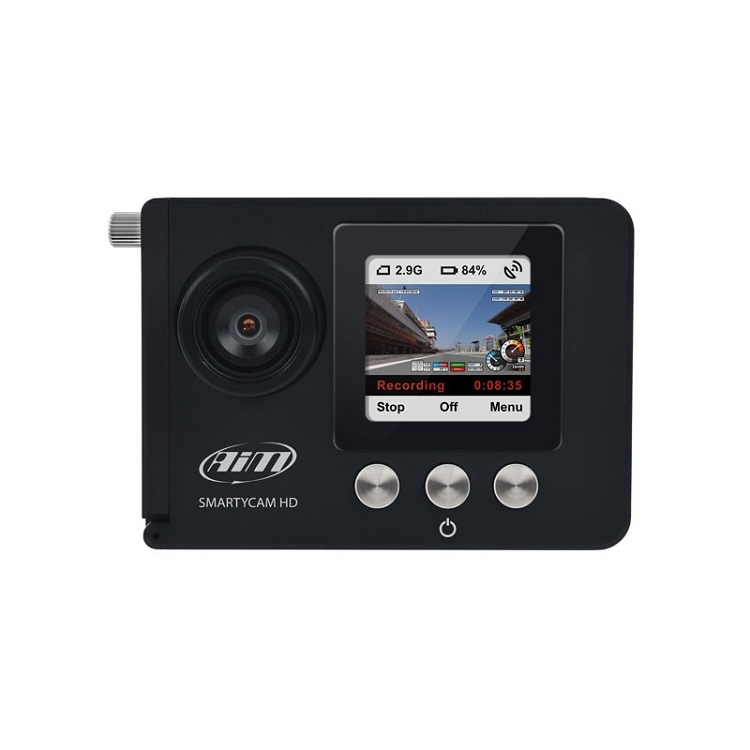 The SmartyCam HD has been engineered by motorsports enthusiasts who spend their lives at the track. After years of intensive development, AIM Sports has released the AIM SmartyCam HD, an all new camera designed specifically for motorsports. Unlike a traditional action camera that has been designed for everything from jumping out of airplanes, to surfing killer waves, the SmartyCam HD has been engineered by motorsports enthusiasts who spend their lives at the track. Just like the original AIM SmartyCam, the SmartyCam HD automatically overlays all of your essential track data: speed, RPM, lap-number, gearshifts, and much more. With the huge selection of overlay layouts, you can fully customize your track experience to watch over and over again. Capable of operating as a standalone unit (optional GPS antenna required), the SmartyCam is also fully optimized to work with your existing AIM Data system. Simply plug it in with the CAN-cable and instantly access all of your vehicle information. 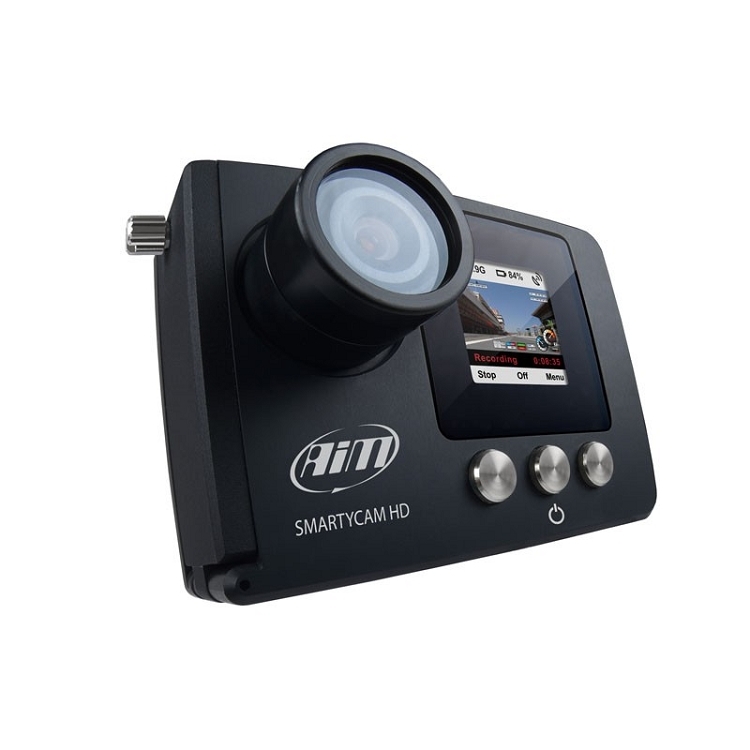 The SmartyCam HD features a proprietary lens that was developed exclusively for motorsports. Ever notice how generic action-cameras make nearby objects look far away, making it near impossible to determine if a track is straight or curved? The telecentric lens has six elements to help reduce this distortion. 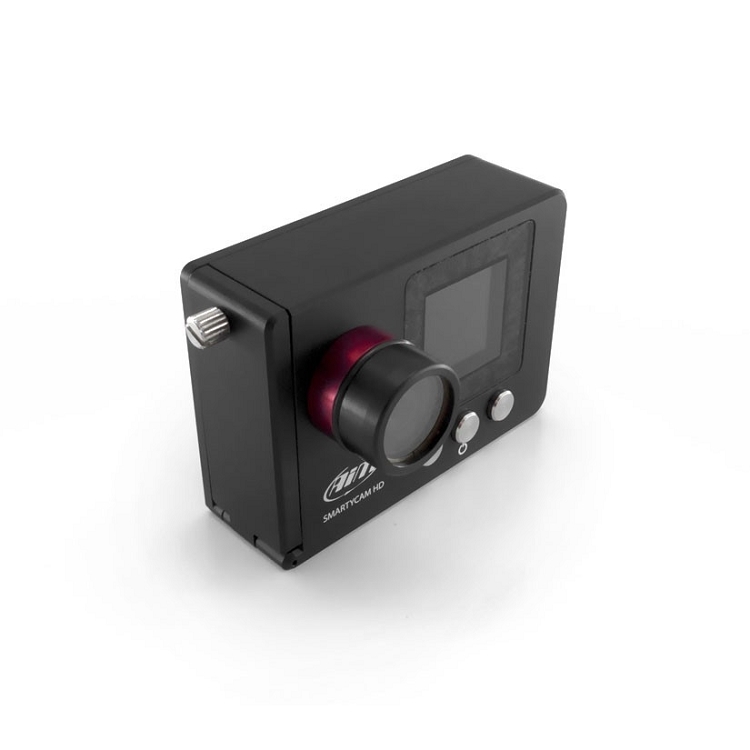 Add to this a global-shutter CMOS sensor that helps reduce that sickening wave effect caused by track and engine vibrations and you get truly track oriented video! And about that video quality - how's 1280x700 pixels at 30 fps sound? Such high quality usually comes at the price of memory card space. Not in the SmartyCam HD. Using H264 compression, a 1-hour recording uses as little as 1.5GB (4GB with high-quality setting). The camera comes with a 4GB card, but with SD cards available in sizes as large as 128GB, that means up to 30 hours of high-quality recordings per card! Auto stop-start, and Auto-Off capabilities help make sure your data-space and battery life aren't wasted. The attractive body features a front mount, color TFT display. Why a front facing viewfinder instead of the standard rear placement on all other cameras? Simple - where is it easiest to check the camera position from the driver's seat? The machined aluminum body is also designed to resist the rigors of motorsports. Water, shock and temperature resistant, the SmartyCam HD can handle whatever you throw at it. The compact body is only 87x63x48mm and weighs just 250g.